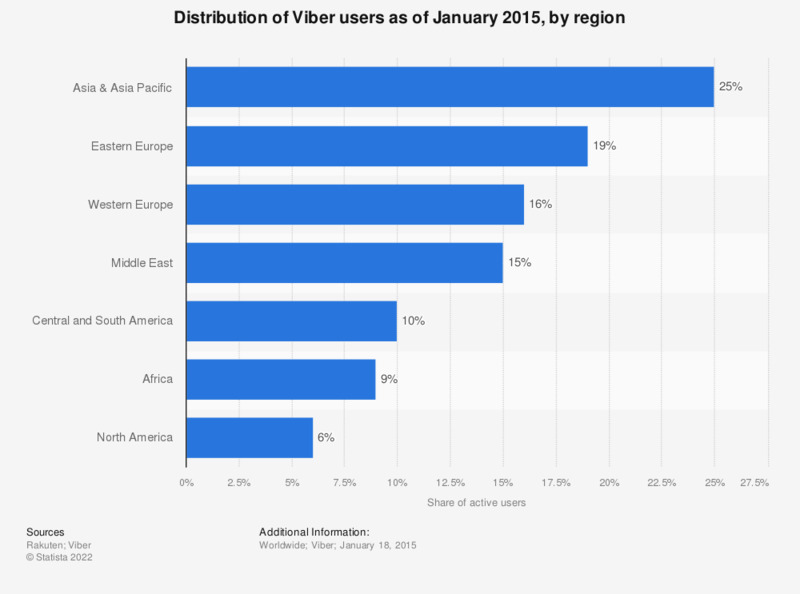 This statistic presents the distribution of active Viber chat app users as of January 2015, sorted by global region. As of that month, 25 percent of the mobile messenger's user base were located in Asia and Asia Pacific. The Middle East accounted for 15 percent of Viber messenger users.